Cheap flights to Thailand: Bangkok for €382! 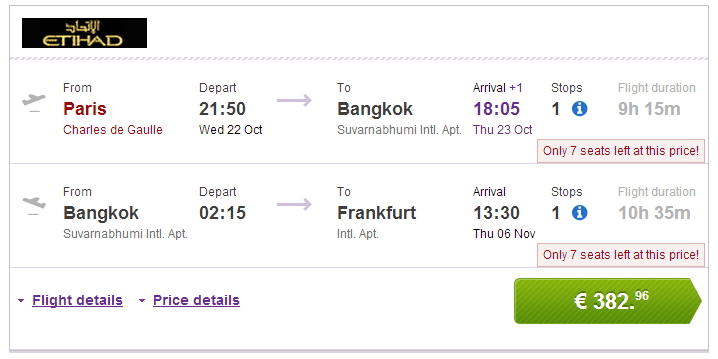 UPDATE 2.10.: Cheap flights from Paris to Bangkok with return to Frankfurt still available for €388! Now also for main season until March 2015. Example dates: 2.-16.2., 26.1.-16.2., 2.-23.2., 9.-23.2., 9.2.-2.3. Main season in Thailand slowly starts with the best temperatures and almost no rain and we now bring you amazing price for flights to Bangkok with Etihad! Multicity flights Paris (CDG) – Bangkok – Frankfurt are now available for only €382. 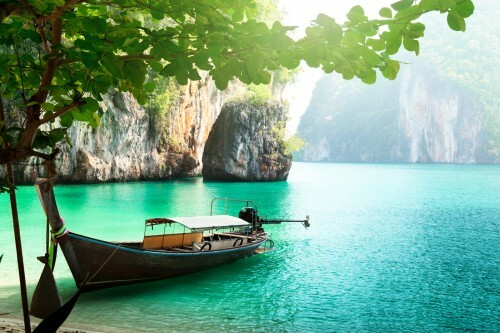 « Cheap flights to Thailand: Bangkok in main season from Prague/Athens for €345!